cooking. eating. carousing. 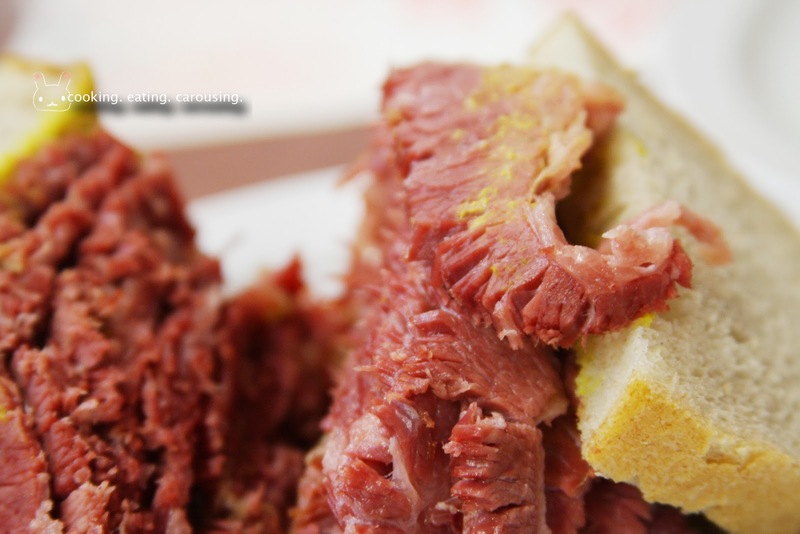 : smoked meat + mustard + bread = ? 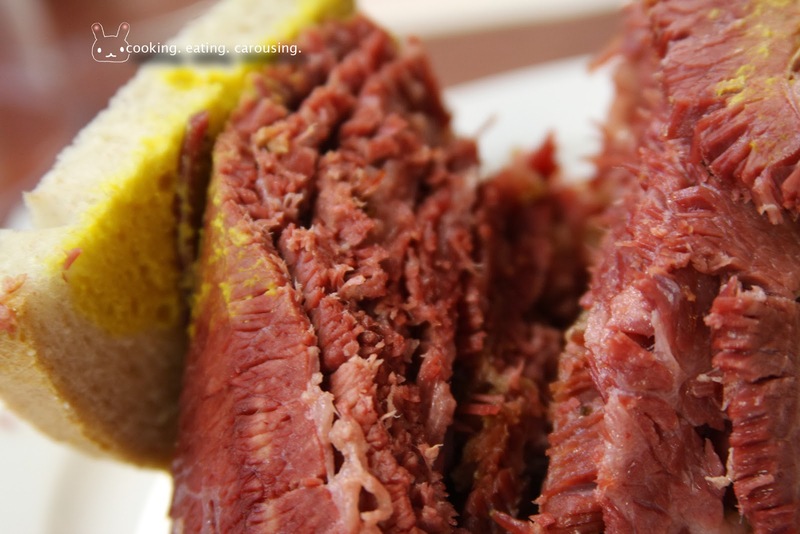 smoked meat + mustard + bread = ? 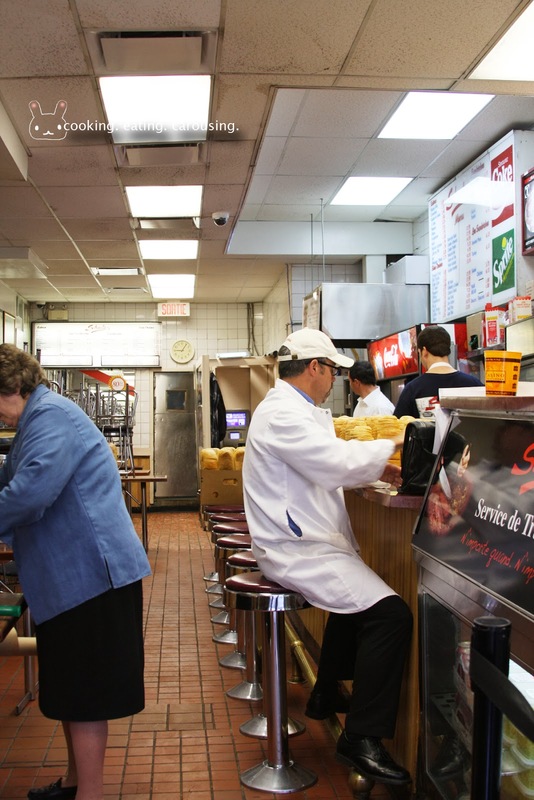 During my research of what to eat in Montréal, the name Schwartz's came up quite a few times. 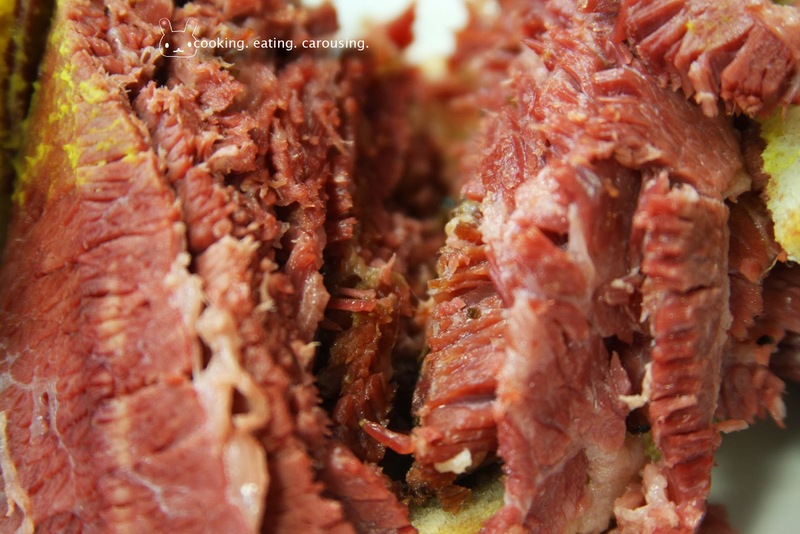 To me, what was being described and pictured, seemed like slices of dry, salty, corned-silverside-like meat, wedged between two slices of dry bread that has been coated with mustard as an afterthought. I wrote a brief note on it on my list of must-go places, but I wasn’t interested and promptly put it out of my mind. 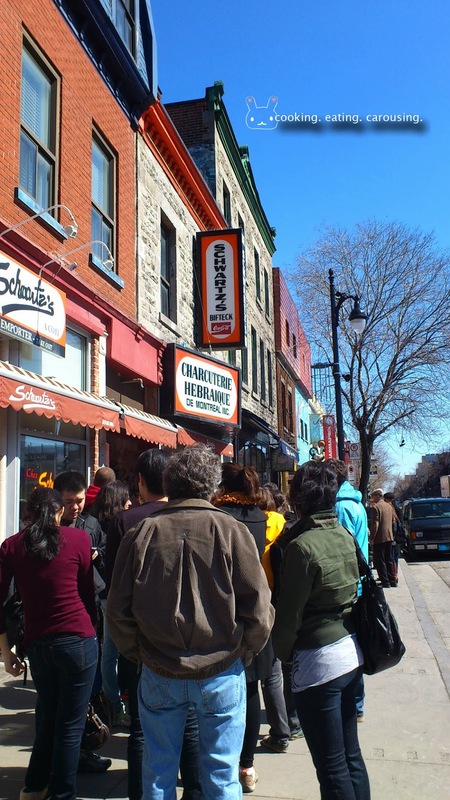 A few days into our stay at Montreal, we were power walking to Patati Patata for lunch, when we saw a diner with a ridiculous number of people queuing outside. It's been a few months since I had that cursory read on Schwartz's, it took me a few minutes before realising that this was that place with those odd meat sandwiches. Since we’ve made our minds up on poutine that day, we powered on to Patati Patata instead. 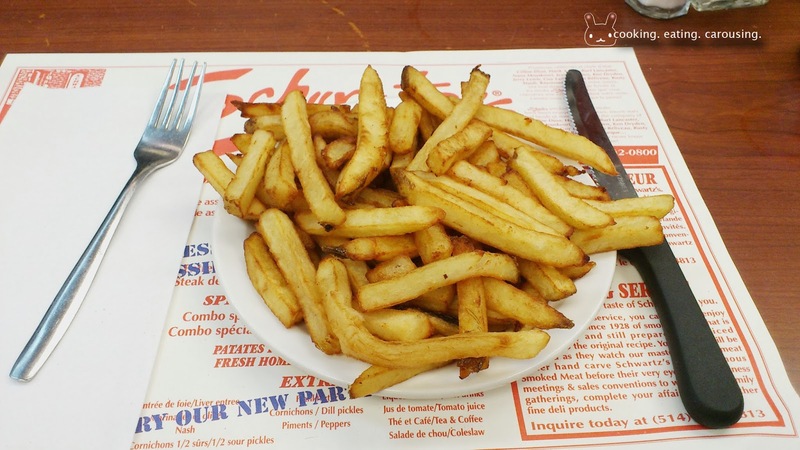 But fate is a funny thing, turns out the lunch at the friterie were a bust. On our way back, we went past Schwartz's again. The queue had thinned considerably, we promptly joined the queue to have our second round of lunch. And I’m glad we did it. I’ve never had smoked meat sandwiches before. But what I had that day was not the salty and dry pieces of silverside I thought it was going to be. What I got was more like the best roast sandwich I’ve ever had. 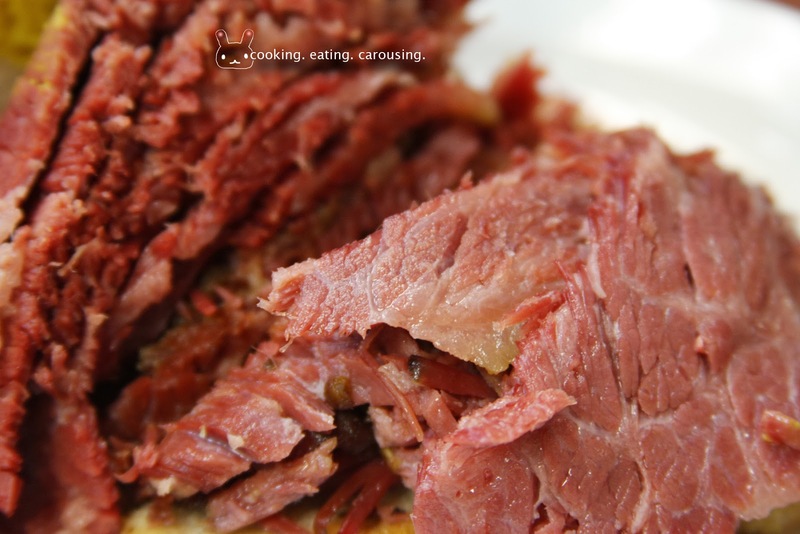 The smoked meat was hand sliced thinly and was delicately succulent. The smokeyness was not overt, which can be a complaint for some as it’s supposed to be “smoked” meat, but I wasn’t one such person. 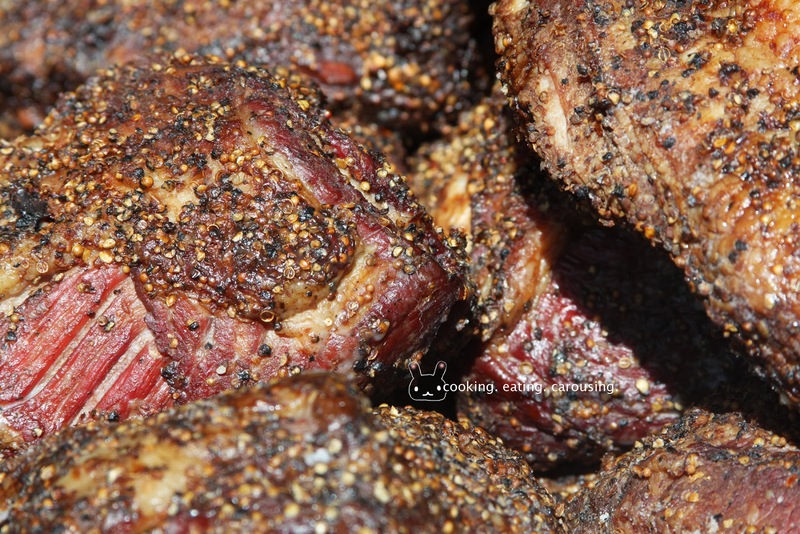 The thinness of the meat and the amount of fat contained within made my mouth grateful to have been born attached to my face in that particular moment in time. 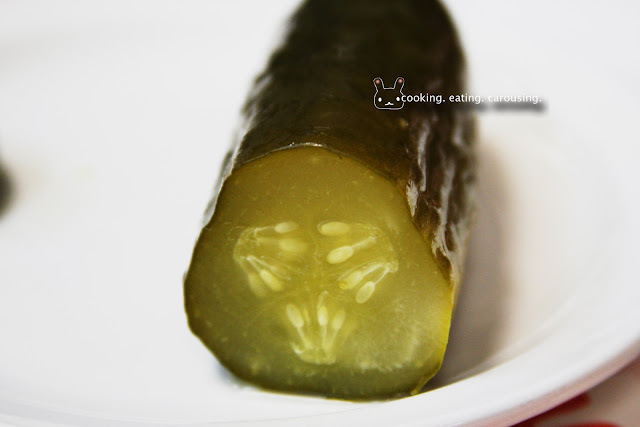 Tender, moist and melts in the mouth. It was a bad day that turned out to be good day after all. Schwartz's certainly made a big impression on us. We were still talking about the sandwich a few days later. We were hooked. 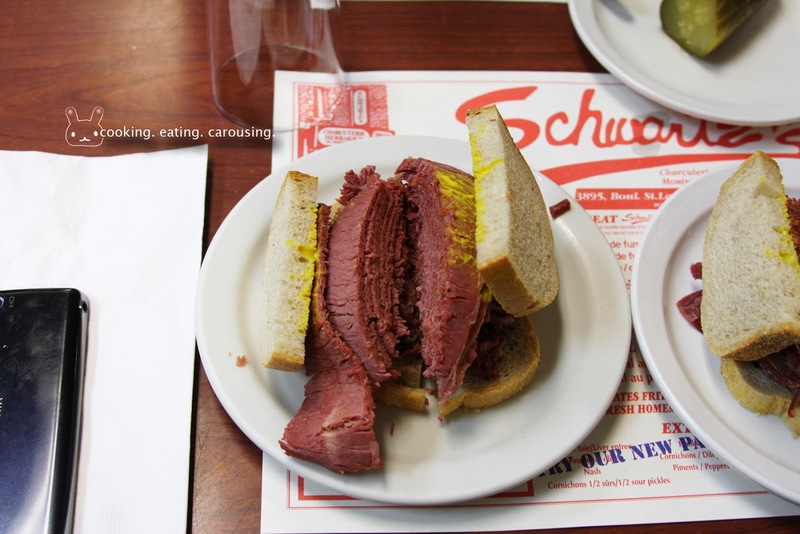 The night before we left Montréal, we decided that in the morning we’re going to stop by Schwartz's for brunch so we can somewhat satiate this unbecoming obsession. In the morning, after we found parking with great difficulty, we walked to Schwartz's and found out that they don’t serve the sandwiches that early in the morning. Disappointed and even more obsessed, we had to leave for Québec City regardless. Our next -- and last -- visit was on our way back from Québec City to Toronto. 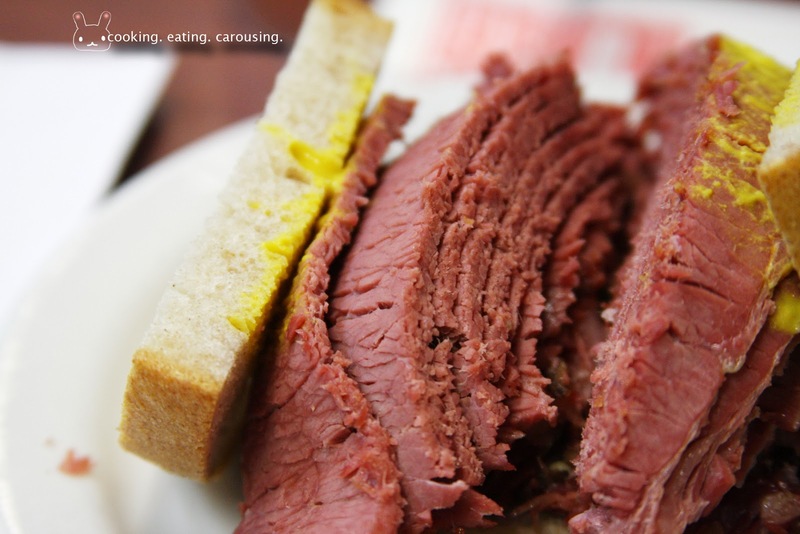 It seemed that the few days apart from Montréal did not do anything to lessen our appetite for the smoked meat beauties, it merely stoked it. We had to have it. We got there at peak lunch hour, the queue was extra long. But we persevered. We were going to get our smoked meat sandwiches no matter what. When we got in, we had to share a table with someone else, but who cares? 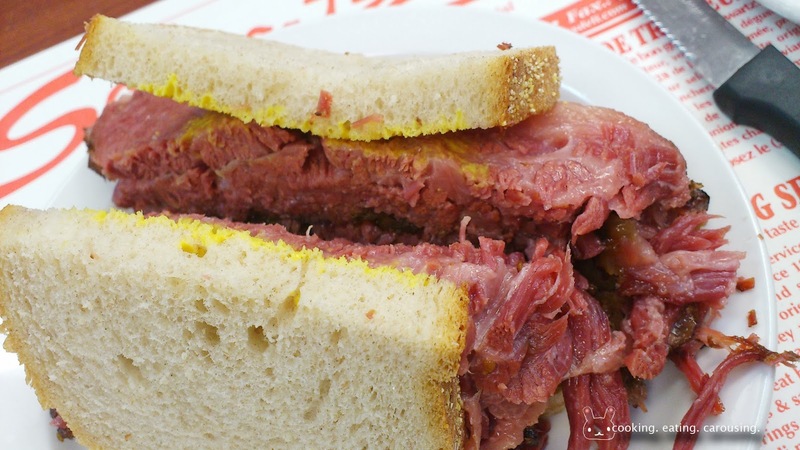 The waitperson, on this occasion, asked how I wanted my smoked meat, to which I replied, “What do you mean?” But of course any Schwartz's regulars -- which I am not -- would know he meant lean, medium, medium-fat or fat smoked meat. We ordered 1 lean sandwich, 1 medium sandwich, a can of Cott black cherry soda and a pickle. Not long after, the sandwiches arrived. The lean sandwich was on the dry side, definitely not one I’d have again. The medium, while having an extra moistness from the additional fat, did not have the same superior mouthfeel as the one I had on my previous visit. 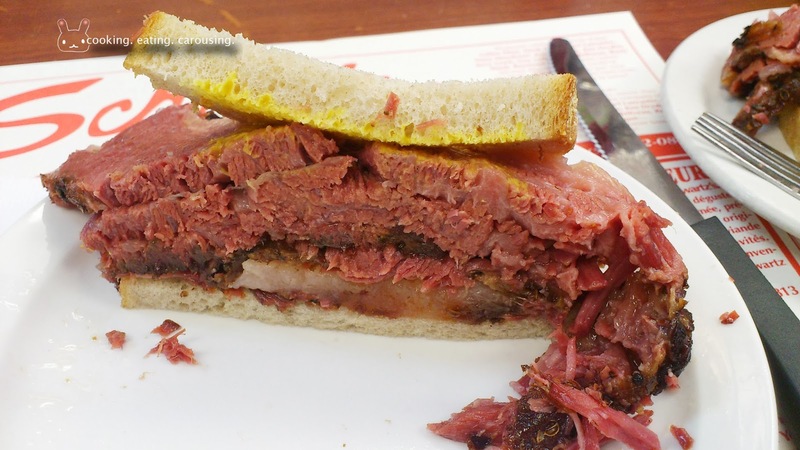 (The waiter on my first visit didn’t ask what type of smoked meat I wanted, I think we might have gotten the medium-fat, as this is what locals usually order). 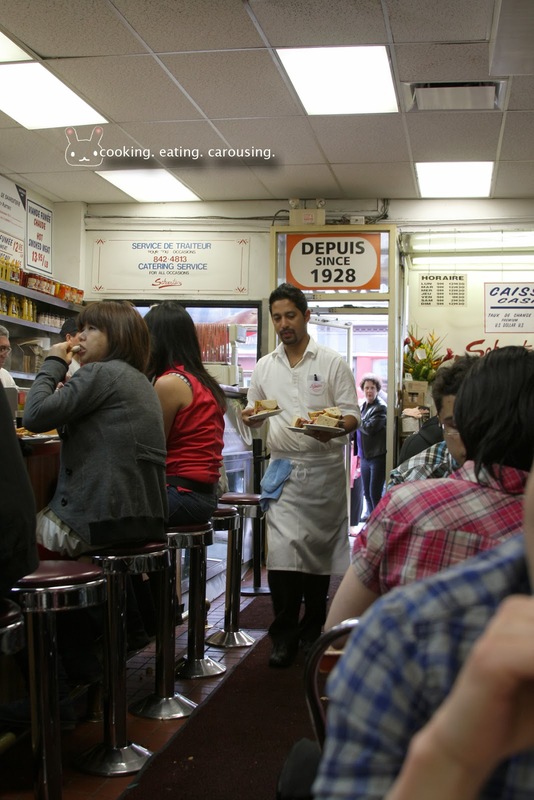 When the meal ended, we made a promise to ourselves to eat here if we were ever to set foot in Montréal again. 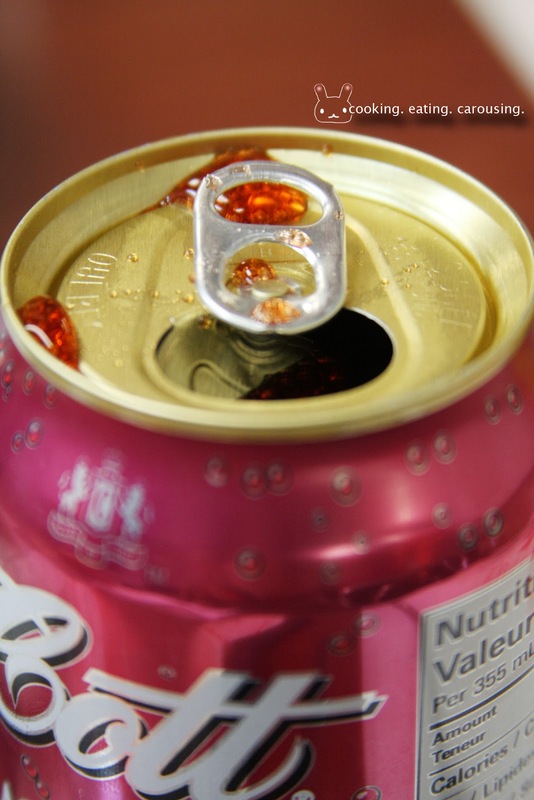 And that time around, we’ll know what we want, no frills, straight up, without any second-guessing: two medium-fat sandwiches and two cans of black cherry soda please!